Fun to fly and easy to build. This cone shaped rocket is perfect for small flying areas. GROUP LEADERS - this kit is great for kids. 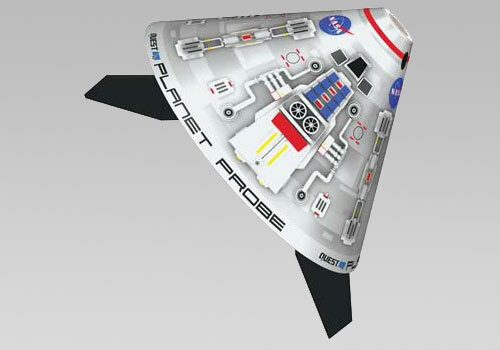 They can flip the pre-printed aeroshroud over during assembly for a plain white surface they can decorate on their own. Great for "drag races". No Wadding Required - gentle tumble recovery.